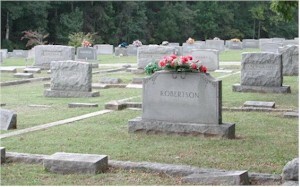 Welcome to Cemeteries of Brunswick County, Virginia, a website devoted to publishing the gravestone inscriptions from all cemeteries in the county: church, community, and family. Although graves in many cemeteries are yet to be transcribed, we have thus far identified 10,678 individuals buried in the county. 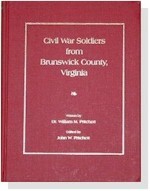 This site is updated by John Pritchett, editor of Civil War Soldiers from Brunswick County, Virginia, author of Southside Virginia Genealogies, and creator of www.Virginians.com. A Dallas resident, John has identified many cemeteries from online sources and from Civil War Soldiers of Brunswick County, Virginia. Tracy Clary, a life-long resident of Brunswick County, is coordinating the collection of information on family cemeteries in the county and has already located, transcribed, and photographed dozens. Special thanks to Jackie Myers and the Brunswick Garden Club for transcriptions of Bethel Methodist, New Hope Christian, and Oakwood cemeteries which contain more than 2,500 graves. We are also very appreciative to Louise Keiser and Liz Moore who transcribed many other church cemeteries and Jeremy Winfrey who transcribed many other family cemeteries. To reach Tracy or John, click CONTACT above. When available, latitude and longitude of individual cemeteries are included so that cemeteries can be located by others in the future. Unfortunately, coordinates for many cemeteries are missing and will require someone to visit the site with a GPS (Global Positioning System) device. Latitude and longitude may be depicted in degrees, minutes, and seconds, such as 36º 38' 55.5" N, 77º 49' 29.0" W or in an equivalent decimal form such as 36.648759, -77.824712. A tenth of a second, the precision of most GPS devices, will place a cemetery to within about 10 ft. When we have geographical coordinates, a Google Map, which may be used to zoom in or out, in 'Map,' 'Satellite,' or 'Hybrid' mode, has been included. Unfortunately, portions of Brunswick County do not have sufficiently detailed satellite images to zoom in closely. The Geographic Names Information System (GNIS) contains the Federally recognized name and coordinates of many geographic features, including churches and cemeteries. I have included, when available, a link to a GNIS Feature Detail Report that provides additional information on each cemetery and access to a variety of mapping services, which may provide better satellite imagery than a Google Map. When possible we would like to include one or two photographs of the cemetery or the nearby church or home. Civil War Soldiers of Brunswick County, Virginia, referred to as CWS-BCV on this site, has been checked for every individual for whom we have cemetery records. When found, we have included the page numbers upon which they appear and additional information such as maiden name, spouses, and relationships to others in the cemetery. Presently there are 3,036 such citations. This website includes a full-name index of every individual in cemeteries that have been transcribed. If Jane Smith, who was born Jane Jones and married John Smith is in a grave, you will find Jane Smith, Jane Jones, and John Smith indexed. Presently the index contains 14,203 names. Veterans of wars buried in Brunswick County are being identified and indexed. FPHC: James G. Parker, Fort Pickett Historical Cemeteries - Brunswick, Dinwiddie, and Nottoway Counties, Virginia. (Prepared for the Virginia Department of Military Affairs and Fort Pickett Maneuver Training Center Blackstone, VA 23824. Prepared by the Conservation Management Institute Virginia Polytechnic Institute and State University, Cultural Resources Program 200 W. 10th St., Pickett Park, Blackstone, VA 23824 2007). FPVC: Pamela G. Hurak, Fort Picket, Virginia, Cemeteries (Farmville, VA, 1996). BCVM: John Vogt & Wm. Kethley Jr, Brunswick County, Virginia, Marriages 1750-1853, Iberian Publishing (Athens, GA., 1988).